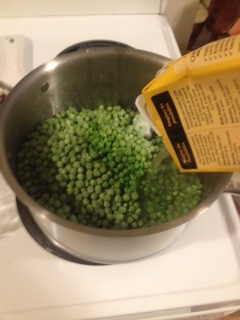 Open your bag of frozen peas and put them in the pot (the peas not the bag). Peel and cut up some carrots. Cut them so that they are small like the size of the tip of your pinky. Then peel and cut up your garlic. 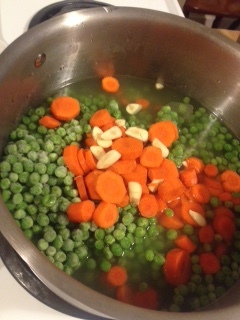 Put almost everything in the pot – carrots, garlic and stock. Turn it on Medium heat and let it simmer. The ham or pork – if you have raw pork it will need to be cooked, by just throwing it in the oven at 350 for this part depends on the size. If you have a pork loin chop then 20 min then check to make sure it is cooked. I used lunch meat that I had left over, so really you can use whatever you have handy or if you are vegetarian add none. Just have cooked ham like meat cut up into around the same size you cut your carrots. 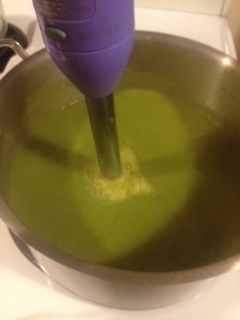 Once the carrots are soft use whatever blender you have and blend the soup away! You are going to want it fairly smooth so this may take around 3 min with a hand blender. Put this awesome food in a bowl and enjoy! Yes it was SIX steps that’s it. This may take up to 25 min from start to finish. It will really depend on if you have the cooked meat or not on hand. 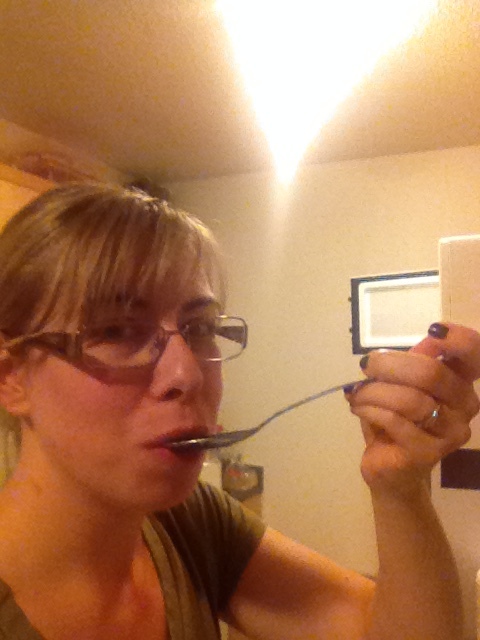 To finish it off you can add some extra spices or a dollop of plain yogurt if you are looking for a creamier soup. It freezes great and you can add a salad or sandwich to it to make it more of a filling meal. Please give me your feedback and post! *** To taste quite seriously means add a little stir it around and taste it see if it needs more. Seasoning food is very personal. Remember it is easier to add more then take out! ** If you want your soup really meat heavy then add more, if you don’t want any than it’s not going to ruin the soup, and everything in between. Just make sure it’s cooked and safe to eat and you are set to go!